Chris Hughton wants Alireza Jahanbakh to play a key role for Brighton in their remaining ten Premier League games of the season. Club record signing Jahanbakh, who was making only his first start since November, impressed against the Terriers and was unfortunate not to open the scoring with a superb first half effort which hit the crossbar. Hughton said: "It was a terrific strike in the first period. He just needs games. He is one who is still getting used to the league here. "He has had three set backs, coming back late from the World Cup, being injured and then going to the Asian Cup. He's never had a long enough run. He is adjusting. We just need him to get some goals. "Alreza is a player we value having come in for big money. It was another good opportunity for him. I am hoping we are going to see more because he is a goal scorer. That's why we brought him in. 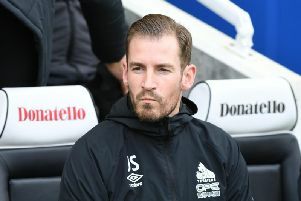 "We want our wide players to contribute and we are missing Jose Izquierdo's goals that we had from the left hand side last season." Hughton also praised the impact of Florin Andone off the bench, who he said 'changed the dynamic of the game'. He added: "He wants to play every game, as they all do. He is always disappointed when we doesn't play. "He is just back from a three match ban as well. I thought he was excellent. That's what you want from any sub that comes on. "Glenn (Murray) is always going to be there ad well and that's the type of competition you want. Florin is a different player. It is a tough decision at times which way to go." 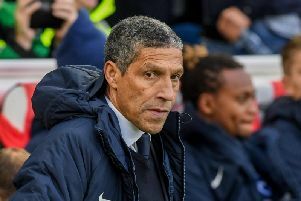 Commenting on Murray's fruitless run of form, Hughton said: "Glenn is a type of player who doesn't have to play as well. Even when he is not at his best, he can still get a goal. "He has a knack of being in the right place. He will always score goals."